Some of us can follow directions. 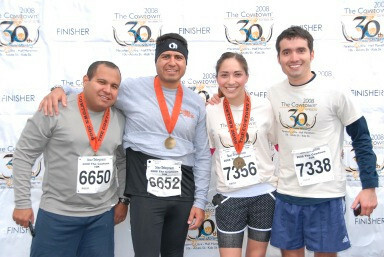 So, a couple of friends and I decided to run the Cowtown Marathon 10k. Which was a lot of fun. So, we got there a bit late since, I forgot to set my alarm to ring on weekends. There were some issues with the registration and I had to stay behind while the race started. 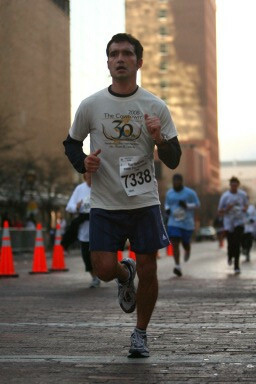 Once I was done, I was able to go on with the race, but I was already 20 minutes behind. Doesn’t matter, since it’s all timed with chips anyway. So, I start my run and finish it in around 55 minutes. Now, this is where things get sad. I get a call on the cellphone from my sister. She is on mile 7 and doesn’t know what to do. Turns out she missed the turn off between the 10k and the half marathon. So, she decides she is just going to run the half. About 10 minutes later I get a call from Julian saying he is on mile 9 and that he is now running the half. Finally, Iggie calls Julian to tell him that he is also running the half by mistake. Needless to say, 3 different people running separate from each other all ran a half marathon by mistake. While I felt a little left out, I don’t think I could have physically ran a half marathon. The night before the game I had 3 soccer games all for the championship. We won all 3 games and my legs were starting to cramp up at that point. Just being able to get out of bed was an accomplishment for me. However, knowing that everyone else ran a half marathon with out any real training, gives me a little bit of hope. I’ve actually been doing some training and should be ready for a half. Hopefully in the next couple of weeks.